Also RIP to my houndstooth slingbacks from the mid-aughties that I still miss. I have been head-over-heels for houndstooth, particularly the black and white or black and cream variety, for a very long time. This is partially because I have an obsession with black and white (solidified by my hair color circa 2005-2006), partially because I love the pattern. My collection has grown and evolved over the years and I keep adding to it. I should note, I don't typically mix the above pieces! If I had to pick, I'd take the $950 ponyskin pumps, but I'd really like all the pieces, sofa included. [Image via GagaFashionLand.com] Yep, Lady Gaga in full Ferragamo houndstooth. Diggin the nails. So yes, houndstooth is undoubtedly "in" and I don't care either way, I'm still obSESSED. 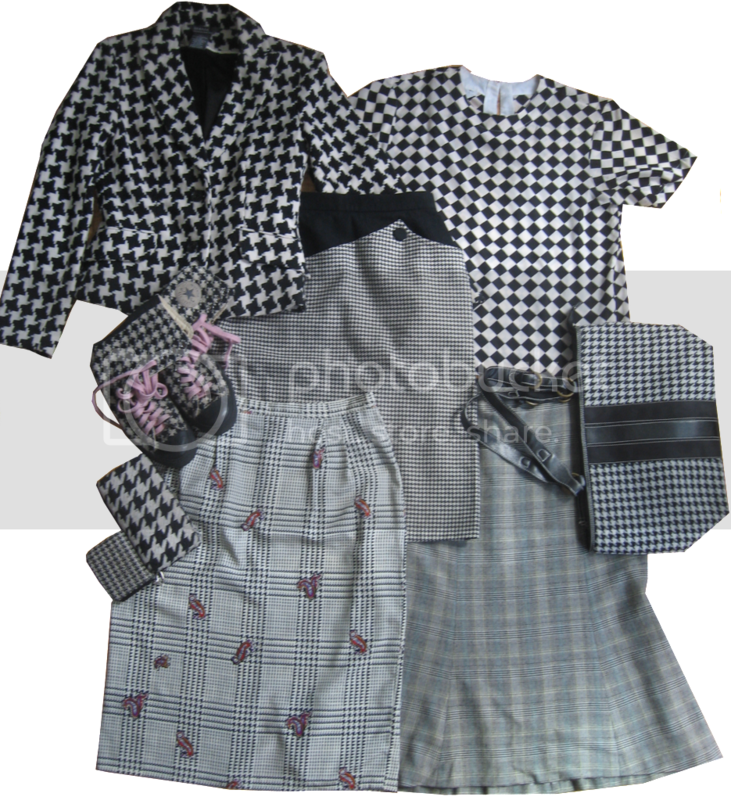 Part 2 will bring you more houndstooth looks that I've got my eye on thanks to the upcoming fall season. I was kind of upset that summer is winding down, but this little pattern just got me a bit psyched for cooler temps. What's your favorite pattern or print? Do you have a go-to that is filling your closet as well?